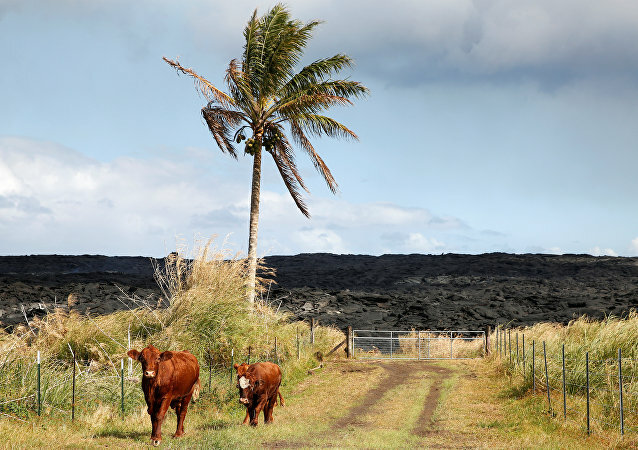 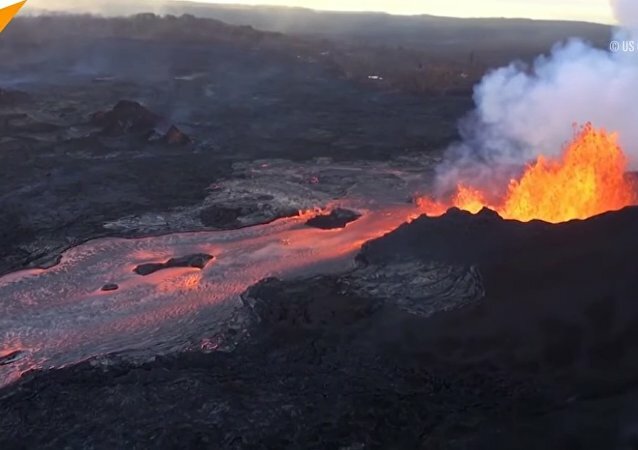 The ongoing eruption of Mount Kilauea, one of the world's most active volcanoes, has been changing Hawaii's landscape, turning the tropical paradise into a living hell, with rivers of lava pouring into the ocean. 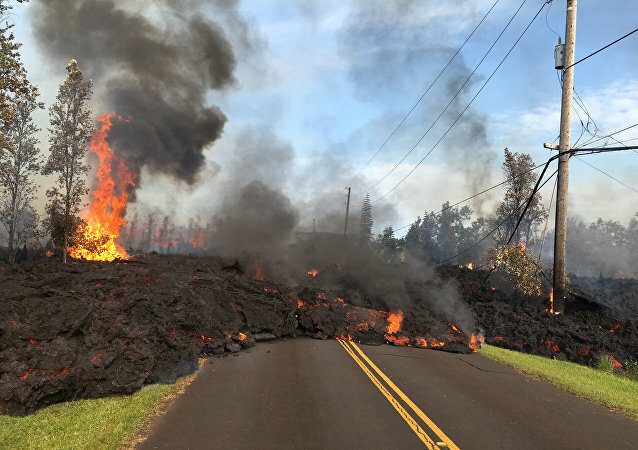 HONOLULU (Sputnik) – The volcanic activity on Hawaii’s Big Island continues with new fissures opening up in the eastern rift zone of the island’s Kilauea volcano, the Hawaii County Civil Defense said. 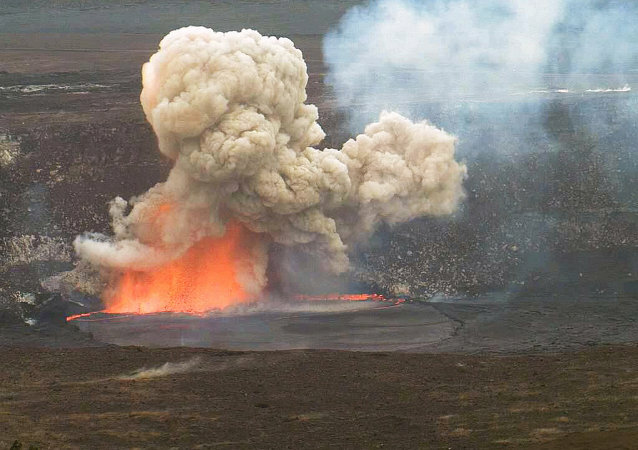 Lava burst forth to create a smiley face in this Hawaiian volcano crater. 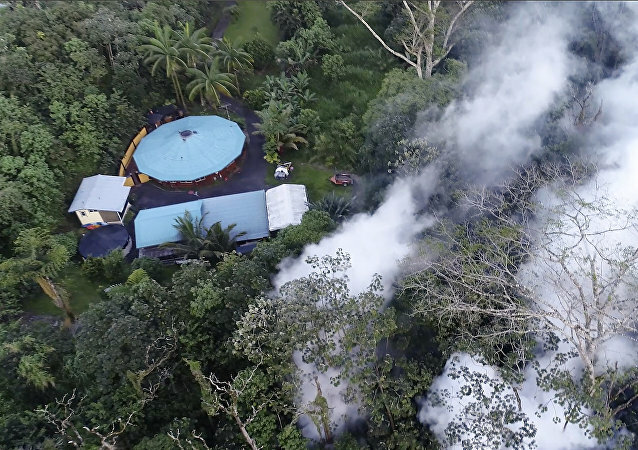 A partial collapse of a crater wall at the summit of the erupting Kilauea volcano, located on Hawaii's Big Island, caused an explosion in the Overlook crater sending molten lava and fist-sized rocks into the air.